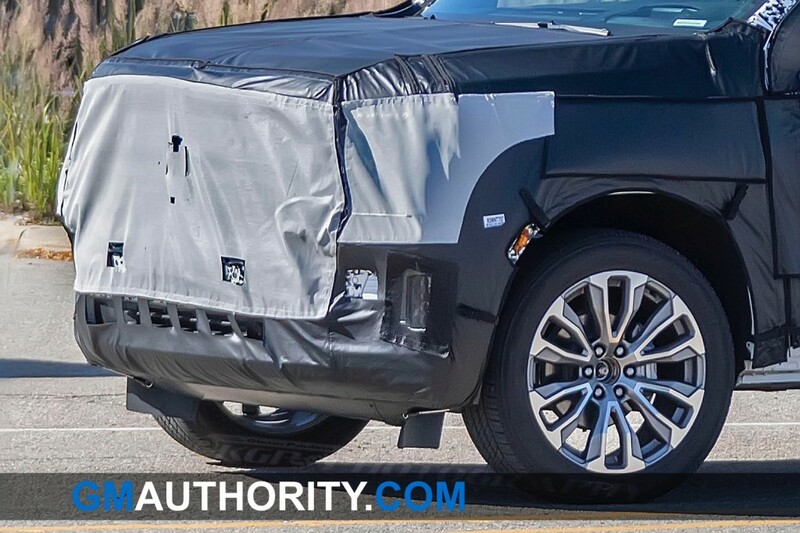 Here’s our first look at the upcoming 2020 GMC Yukon. We’re looking at the regular-wheelbase version, though an extended-length Yukon XL will also be available. 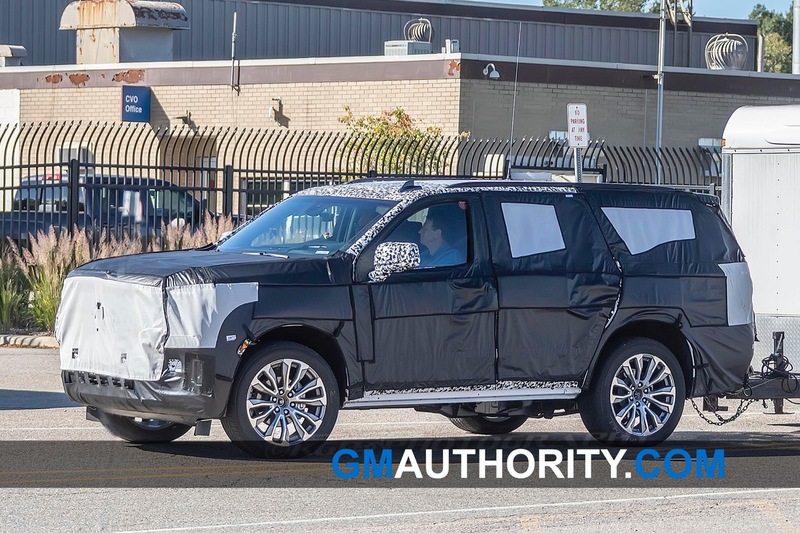 Like its corporate cousins – the Chevy Tahoe/Suburban and Cadillac Escalade – the Yukon will be completely overhauled (redesigned and re-engineered) for the 2020 model year. 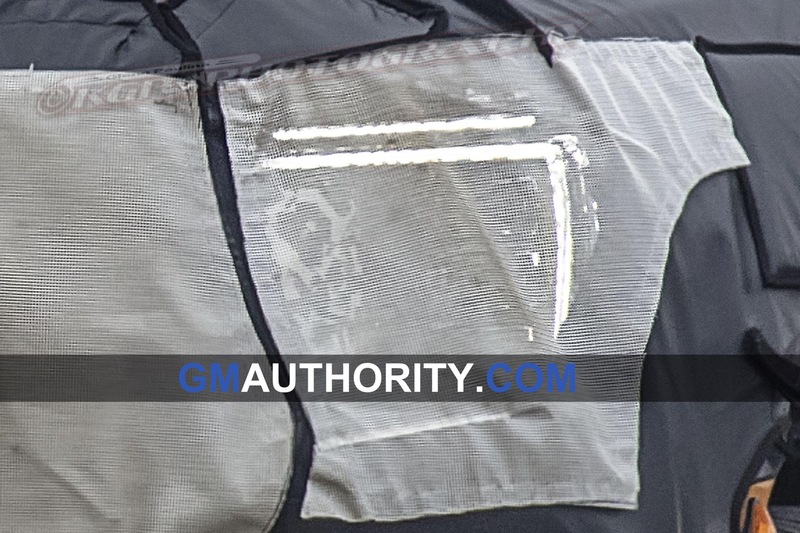 And though the tester seen here is covered in a significant amount of padded camouflage, we can still see several noteworthy elements. 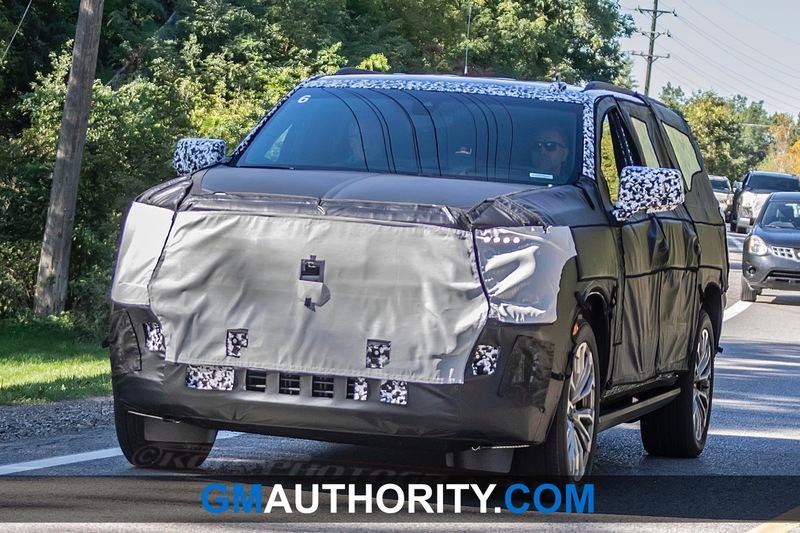 This 2020 GMC Yukon prototype also features a large and upright grille, much like the one found on the 2019 Sierra. 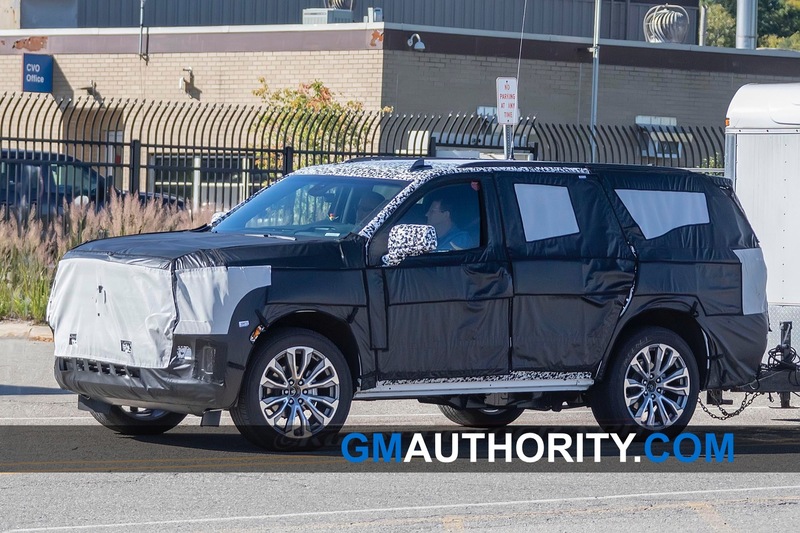 Notably, the grille on this model doesn’t have the crossbar design element that we’ve previously seen on the Tahoe/Suburban. 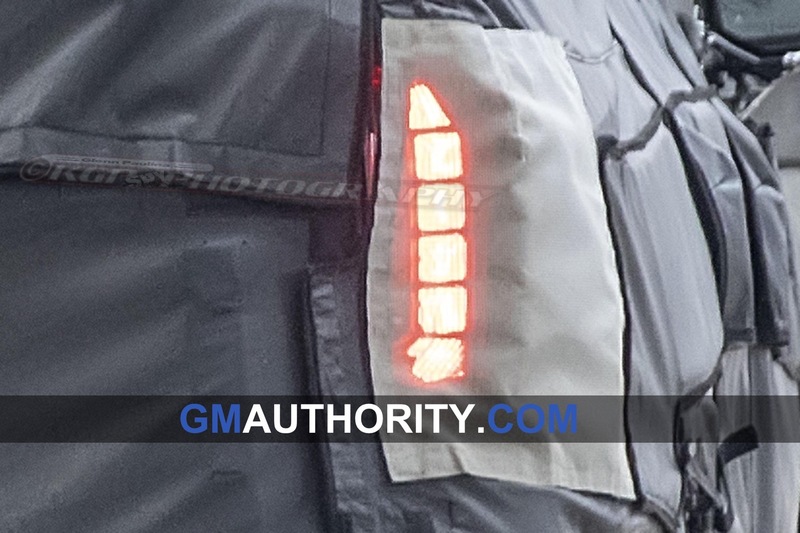 At the front, the prototype appears to be wearing placeholder lights rather than production units. 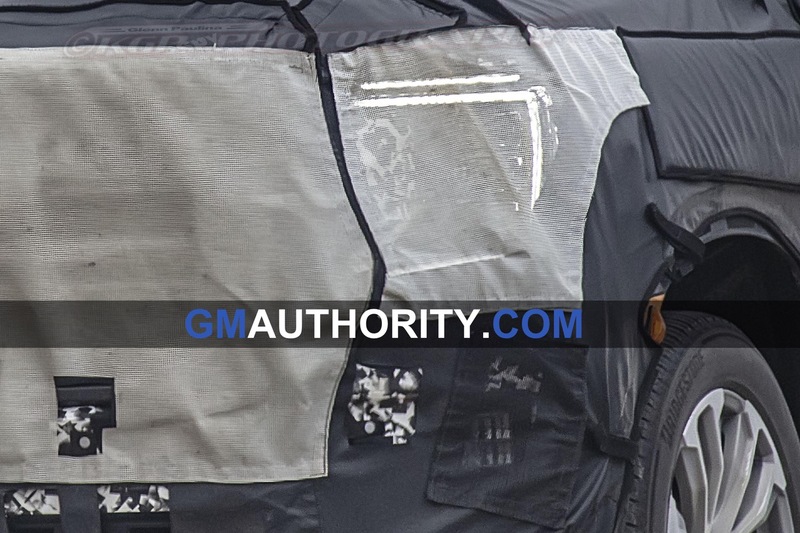 A closer look at the camo reveals that there is space reserved for a rather large production headlight cluster that will likely accommodate GMC’s signature C-shaped lighting elements. At the lower end of the front fascia is a set of vertical LED accent lights that are very similar to the units in the 2019 Sierra 1500. Also notice the pedestal-style mirrors mounted on the doors, rather than at the A-pillar junction – another characteristic similar to the Sierra. The side profile reveals a very upright and boxy shape that we would describe as having a muscular and authoritative presence. 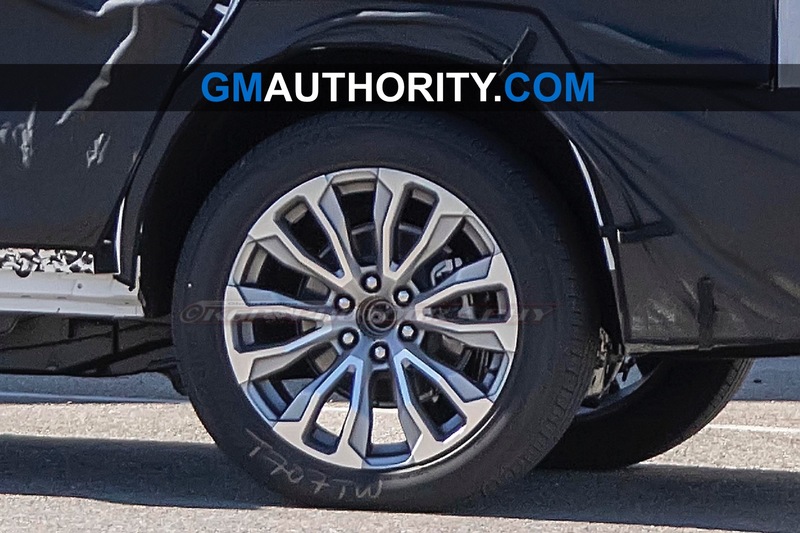 The 2020 GMC Yukon tester rides on large dual-six-spoke wheels that appear to be 20 inches in size. This prototype is towing a trailer, which prevented us from getting clear shots of the rear. 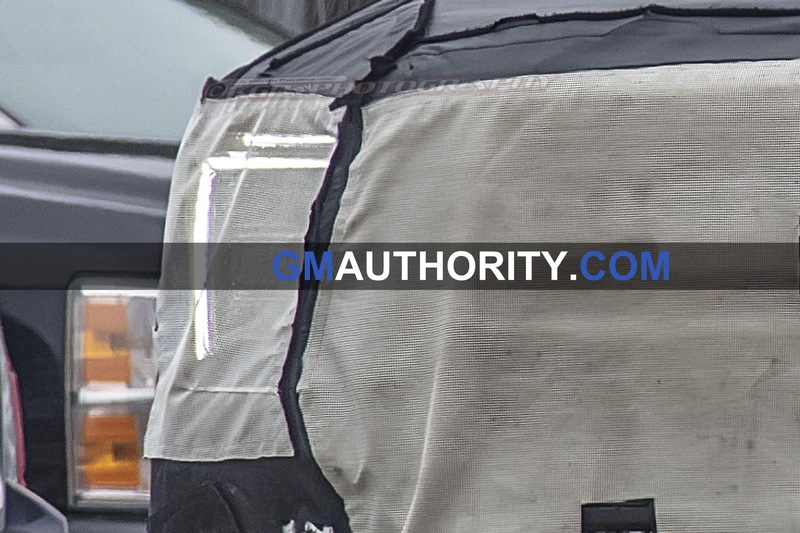 Even so, We can see a rather upright rear end with dual exhaust tips – which confirm our previous report of GM paying particular attention to detail on its new full-size SUVs. The new 2020 GMC Yukon will represent the fifth-generation of the Yukon nameplate. 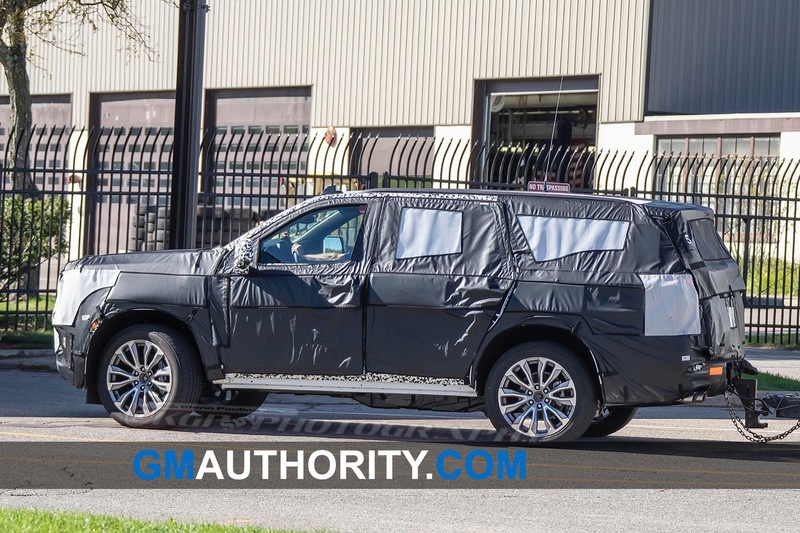 The vehicle will ride on a version of the new GM T1 platform that will also underpin the 2020 Tahoe, 2020 Suburban and 2020 Escalade. 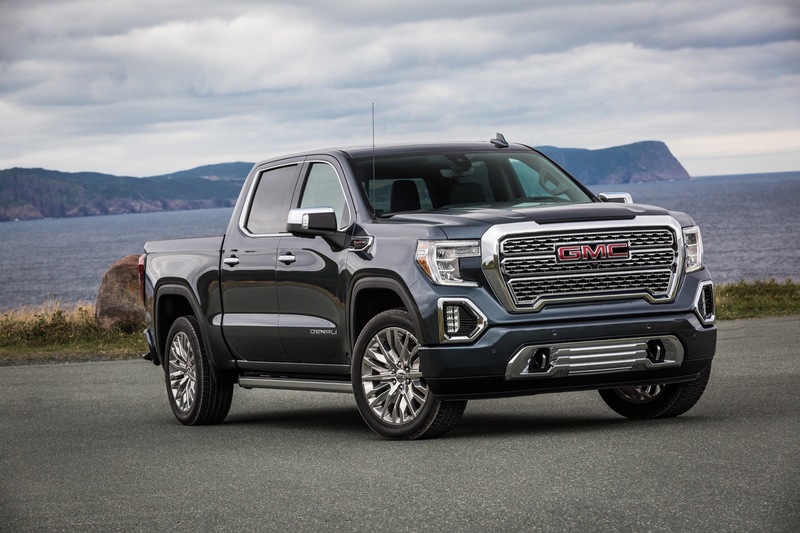 The platform currently underpins Chevy’s 2019 Silverado and GMC’s 2019 Sierra. Weight is expected to be reduced significantly as a result of aluminum swing panels (on the doors, hood, liftgate). GM employed the same approach on the new Silverado and Sierra and saw curb weight decrease by as much as 300 pounds. One of the biggest improvements to the new model over the current Yukon, which rides on the K2 platform, is the introduction of an independent rear suspension (IRS), which some believe is in response to Ford offering an independent rear on its Expedition. If one of the two aforementioned motors is standard, then the other could be offered as an option. Meanwhile, the up-level engine for the 2020 Yukon Denali will be the naturally-aspirated 6.2 V8 L87 gasoline engine good for 420 horsepower and 460 pound-feet of torque mated to the new GM 10-speed automatic transmission. Like its less potent 5.3L brother, the L87 also features Dynamic Fuel Management. 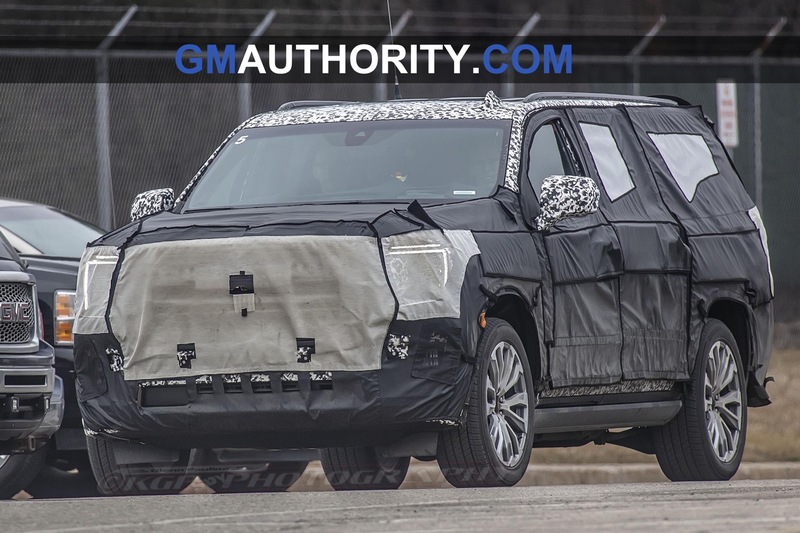 Currently unclear is whether the 2020 GMC Yukon will offer GM’s new 3.0L Duramax LM2 turbo-diesel engine. If it is offered, expect the straight six diesel mill to make around 280 horsepower and 450 pound-feet of torquearound 280 horsepower and 450 pound-feet of torque while being mated to the 10-speed gearbox. Outside of the vital mechanical elements, expect the future GMC Yukon to introduce greater levels of differentiation from its corporate cousins from Chevrolet and Cadillac, while introducing greater levels of comfort, luxury, and refinement than the current model. Two body styles will continue being offered: the regular-length Yukon and extended-length Yukon XL. Besides the range-topping Yukon Denali trim level, the 2020 GMC Yukon will likely also introduce several new sub-models – such as Elevation and AT4 – that follow the model range of the new Sierra. 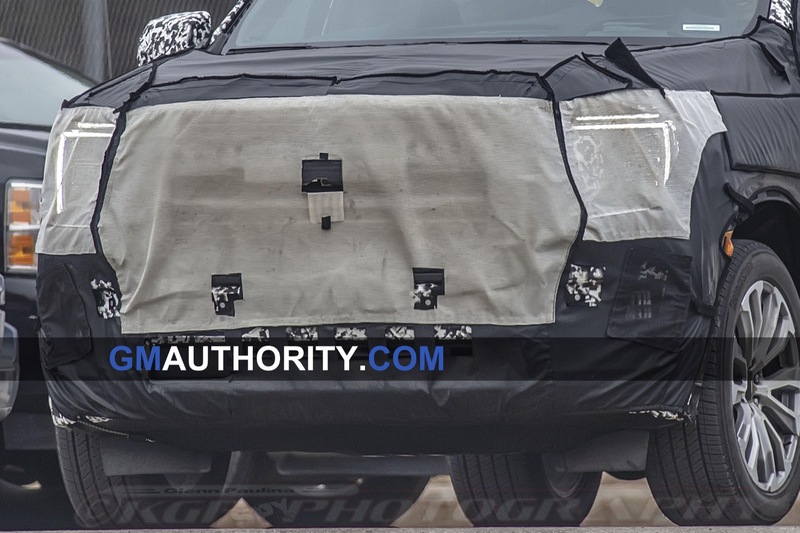 Expect GMC to unveil the new Yukon in the next few months and launch it in the first half of the 2019 calendar year as a 2020 model. Could automakers make the windshield any smaller??? Hell, why dont we just replace it with a camera and a screen, just forget the glass altogether. The automakers know what we want more then we do right? Foreign car makers are considering moving more manufacturing to North America from their overseas plants following the recent U.S. trade deal with Canada and Mexico (Thank you, President Trump). Within days of the U.S. and Canada reaching a pact to replace the roughly 25-year-old North American Free Trade Agreement, executives at several foreign car makers said they are considering changes to their supply chains that would shift more auto-parts manufacturing work to the U.S. and Mexico. “We will allocate more U.S. production for the U.S. market,” BMW AG CEO Harald Krüger told reporters at the Paris Motor Show this week. He said that the German car maker already sources many parts in the region, but the new trade pact will accelerate a shift in investment. Daimler AG CEO Dieter Zetsche said at the same event the new agreement could force it to shift more engine manufacturing to the U.S., where it builds cars and sport-utility vehicles at a factory in Tuscaloosa, Ala. The impact on foreign auto makers’ North American operations from the new United States-Mexico-Canada Agreement, which still has to be approved by Congress, remains unclear. But many in the auto industry see the pact as evidence of President Trump’s tough and successful approach to trade at a time when he is threatening new tariffs on European and Japanese auto imports. Carlos Ghosn, head of the Renault-Nissan-Mitsubishi alliance, said the new United States- Mexico-Canada trade pact would spur the car-making group to invest more in both the U.S. and Mexico, but didn’t provide details. Honda and VW said in separate statements that they are still analyzing the potential impact of the deal on their local operations. Mazda Motor Corp., which relies on Japan for engines and transmissions, would also struggle to meet the higher content requirements on its Mexico-built Mazda3 compact car. Which will mean more business and jobs for American auto workers. Actually the glass is quite large. In fact some of the largest offered. The rake is what makes it appear smaller. Got to lay back the glass to cut the wind. Thank Goodness they didn’t use the Sierra wheel opening design. This looks excellent! The A-pillar junction could use some work. They just slapped a cheap piece of black plastic to the old mirror mount. While upgraded cosmetics are nice, upgraded functionality is better. Don’t take away the ability to upgrade to towing mirrors on the new pedestal-styled mirror mount like I can do with the outgoing design on the A-pillar. I wonder how much weight will be taken out of this new vehicle? The 4 cylinder with 310 hp and 348 lbs of torque may work really good. Some reduced body weight, along with a light weight engine, could add up to a meaningful overall weight reduction. Maybe a good chance, at some point a hybrid setup would use this motor? 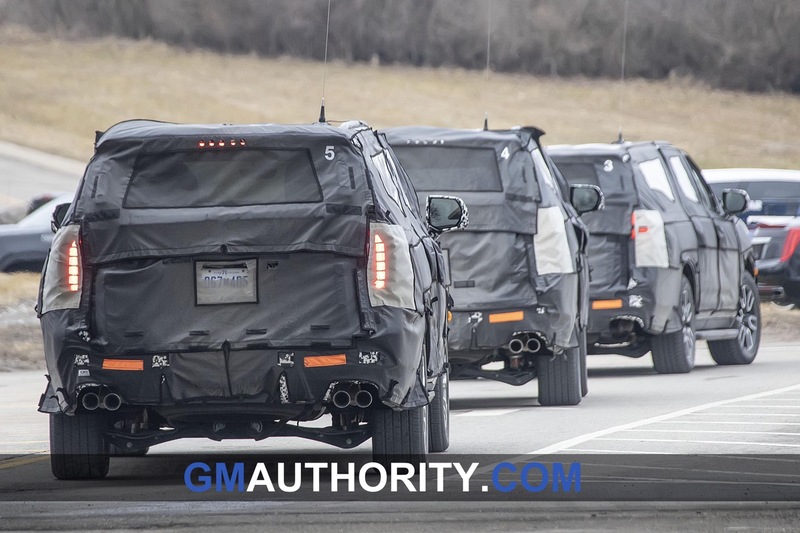 GM has greatly reduced the model life cycle for these full sized SUVs. Prior existing designs ran for 7-8 years with only minor updates. The current generation will have been out for about 5 years. With these all new pickups and SUVs, GM will be in very good shape, even if auto sales are past peak. Hopefully do a better job with the interiors vs the “new” 2019 Sierra. The current generation Yukon looks great and way better looking than that Tahoe. Is it just me or does the rear overhang look longer than current model? I think I like that. since we dont have the bed issue with the SUVs , why they dont make it fully aluminum body ?! It would be smarter to take a mixed material strategy, than to deal with tariffs on aluminum. Just look at Ford. 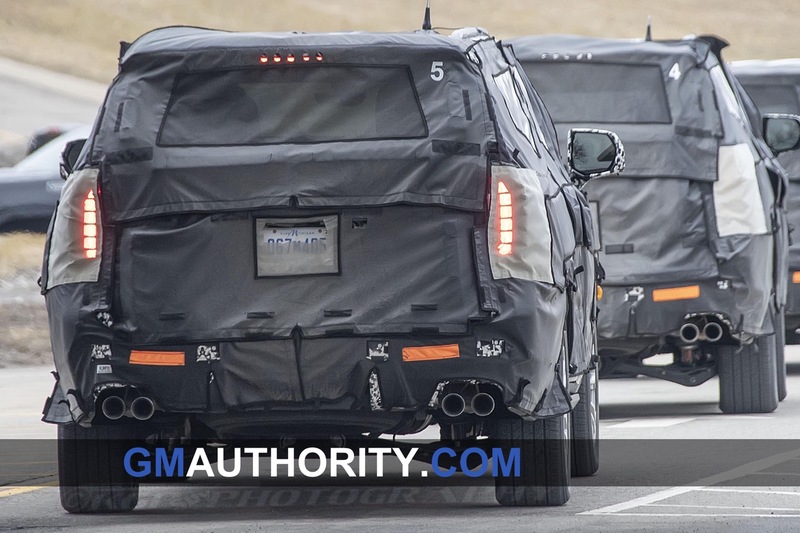 Alex – you state: Expect GMC to unveil the new Yukon in the next few months and launch it in the first half of the 2019 calendar year as a 2020 model. But the 2019 Yukons just came out in the past few weeks. You really think they would unveil the new 2020s while the 2019s are in the middle of their sale cycle? I ask primarily b/c I want to buy a new Denali, but I sure has heck don’t want to buy a 2018 (GMC is now offering about 10% off those) or 2019 (no incentives) when the body style, engine and possibly tech could change for 2020 model. When will the 2020 Yukon XL be available for order and will they be at the auto shows this winter? Who’s the rookie that made the design change on the side mirrors? First time you hit the mirror there goes the door panel. Not to mention they mirror will shake going down the road. Can’t wait to see how those camper mirrors do hanging off the door panel! Is it me or does it seem like Toyota came to work for GM? Looks like it’s time to buy a Ford or Dodge.